I'm loving that I'm back with my family after being gone for 4 long days. I'm loving the wildly abnoxious thunderstorm we had last night and that my flight landed early enough in the evening that the storm didn't delay my arrival home. Few! I'm loving all of the Sabra humus coupons I now have. Love me some humus... especially when it's $1 off! I'm loving that today is my Saturday, YAY!! But what I'm not loving is that I feel really poopy and am stuck on the couch all day while Bryan's at the gym and then going to the pool. Boo! Good thing my Cali-girl is the best little cuddle bug and is so sleepy today that all she wants to do is curl up on me and nap. 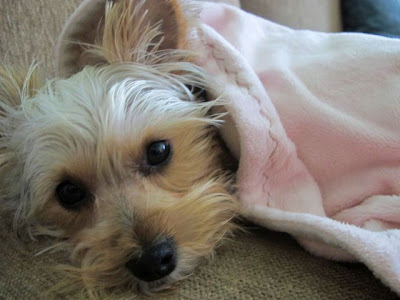 I just took this photo... could she be more precious when sleepy? I think she's saying "Mama, put the camera down and come back and lay with me..."
I'm loving that while I was out of town, Bryan did the sheets in our bedroom and in the guest room and made both beds. I'm loving that while driving up to Chimney Rock last week Bryan said "I love you both" to his mom and I. It was so sweet and put a little grin on my face and in my heart. He's got a great mom and wife, no doubt! I'm loving what an awesome visit we had with my mother-in-law. And with me being away for part of her stay, Bryan and her were able to get so much quality time together. From what I heard, Bryan planned a special Mother's Day and they were both very sad to say goodbye to each other when she left. I love their closeness! I'm loving how sneaky my mother-in-law is. She tried to give Bryan some money before she left and he wouldn't accept it. Once she was gone we moved our lap top off of our coffee table and found the money underneath it. She hid the money under the computer. HA!! Sharyn, you make me laugh! I'm loving all of my newest Old Navy jewelry that was delivered to my doorstep yesterday! I'm loving that I'm almost ready to expose a secret I've been keeping from most friends and family for the past several months! And no... I'm not pregnant. what do you eat with hummus?? sounds interesting!! Your hubby sounds so sweet! Love secrets! Can't wait to hear! you know, you just can't do that. that secret lingering thing. I would have rathered you didn't tell me ANYTHING rather than make me all antsy about your secret. You can't at least tell ME?? I won't spill, promise! and your hubs seems pretty awesome. To wash the sheets on BOTH beds and re-make them? Double points! and my sister does that money thing ALL the time. I have her run to the store for me (usually for wine) and when she comes to my house I try to give her money, but she never takes it, so the next day when I go to leave, I put my hands in my coat pocket and there is the money she gave back. sneaky sneaky! Hummus... YUMMY! it tastes SO good with baby carrots- that's my fav! 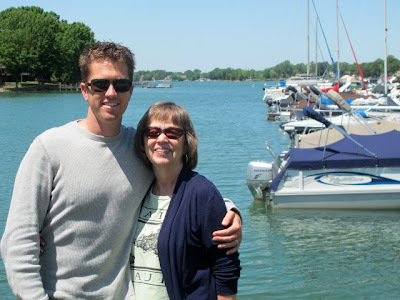 I am so happy that you have such a good relationship with Bryan's mom. Believe me, it's not that way with most people anymore! Love your list! Can't wait to find out your secret! :) Happy wednesday sweet girl! LOVE Sabra hummus--almost as good as the real stuff. Try the sun dried tomato-- its the best one! 2. You're making me want some hummus. You'd think since I'm a veg that I eat it all the time, buttt I don't. I need to get some!! 3. We had some loudd thunderstorms here in Raleigh too last night, I suppose it was the same system. Crazy!! 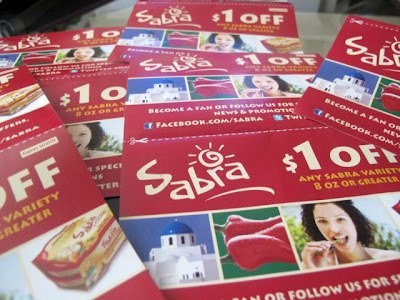 I have got to get me some of those Sabra hummus coupons!! Where did you find them?! I serously go through a thing of hummus weekly. Love the pine nuts kind. What is your favorite?! Looks like you had a great time!!! What a sweet hubby!! Can't wait to hear about your surprise!! Ok- I must look up this Old Navy jewelry, I'm so intrigued! I think I may know this secret....anyway I'm still excited to find out! I am your newest follower!! Have a wonderful Wednesday!! 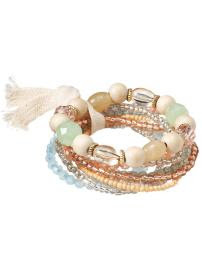 I love that bracelet,I had no idea that old navy had such cute jewelry! I will definitely need to check that out! Your Bryan sounds like such a sweetie-- you are a very lucky girl and I'd say he's pretty lucky to have you, too!